Uveitis causes inflammation in different part of the eyes. Medical treatment is essential to treat uveitis. Get to know more information here. The uveitis is a condition which causes the iris, ciliary body or choroid to become inflamed. Dozens of different conditions are believed to have an impact on the development of uveitis, but in most cases the cause of the inflammation is unknown. Viral infections, bacterial infections, trauma to the eye or an immunological or infectious systemic disorder may contribute to the presence of uveitis. Some also believe that smoking may increase your chances of developing uveitis. Uveitis can be caused by an injury to the eye, toxic exposure or an inflammatory disease. The type of uveitis a patient has is classified by the area of the eye which is inflamed. Anterior Uveitis. This type of uveitis only involves inflammation to the ciliary body or iris. Intermediate Uveitis. Intermediate uveitis is inflammation anywhere in the ciliary body. Posterior Uveitis. This refers to inflammation of the choroid. Diffuse Uveitis. This condition, also known as panuveitis, refers to inflammation throughout the uvea. Many types of uveitis are chronic and can lead to additional complications such as elevated eye pressure, cataracts, clouding of the cornea, glaucoma, retinal detachment or swelling of the retina. The most common form of uveitis is anterior uveitis which is responsible for 8 out of every 15 cases. Most people suffering from uveitis develop the condition between 20-50. It is estimated that 280,000 people develop uveitis in the United States each year. Uveitis may be responsible for up to 10 percent of the 30,000 cases of blindness reported each year. 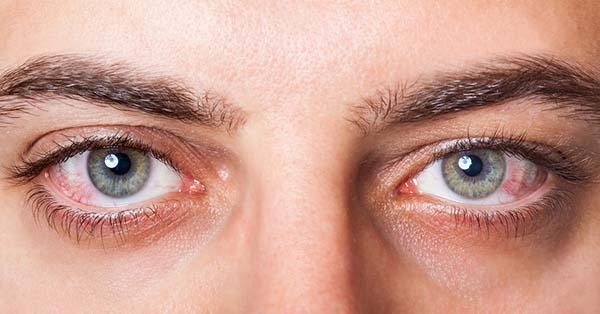 Men and women are equally affected by uveitis. Anterior uveitis, the most common form of uveitis to affect patients, will often cause eye pain, sensitivity to light, red eyes and decreased visual acuity. Posterior and intermediate uveitis do not typically cause the patient pain but they can cause an increase in floaters and blurred vision in both eyes. Intermediate uveitis is more common in teenagers and those in their 20s or 30s. Diffuse uveitis will have a combination of symptoms from other types of uveitis. Uveitis will require medical attention from a doctor. There may be an underlying condition contributing to your uveitis that will need to be addressed in order to relieve your symptoms. In most cases, your doctor will prescribe steroid pills, injections or drops to take down the swelling in the eye. Anterior uveitis is typically treated with steroid drops while posterior uveitis will more often be treated by injections or tablets. Treatment for intermediate uveitis will vary based on the nature of the symptoms present. Your doctor may also prescribe pupil dilating drips that will lower your intraocular pressure to relieve discomfort from uveitis. In some cases, Retisert, a drug reservoir, is implanted in the eye to deliver anti-inflammatory corticosteroids to the eye for up to 2.5 years. In clinical trials, those using this treatment saw a 30-40 percent decrease in the reoccurrence of uveitis. Most cases of uveitis diffuse over the course of 24 months. Complications associated with this treatment option include eye pain, procedural complications, cataract progression and increased intraocular pressure. In some cases, Ozurdex implants will be placed in the patient to treat non-infectious uveitis. These implants contain steroid medications (such as dexamethasone) which are biodegradable. This medication may also be used to address macular edema caused by retinal vein occlusion. It is important to read all instructions on your dosage and speak to your doctor before staring any sort of immunosuppressant or steroid therapy for uveitis. These medications may cause side effects including kidney damage, high blood pressure, glaucoma, high blood sugar and osteoporosis. The risk of side effects is larger for those taking steroid tablets because high dosed must be given to ensure that the medication reaches the eye. You will likely need to check in with your doctor during your treatment to ensure that your case is progressing as needed.